The Billion Dollar Fund, a recently launched consortium of venture funds that aims to tackle the gender funding gap for women-founded startups, has secured $70 million in pledges by UAE’s Mindshift Capital and Global Ventures, and Cairo-based Flat6Labs, the consortium announced today in a statement. 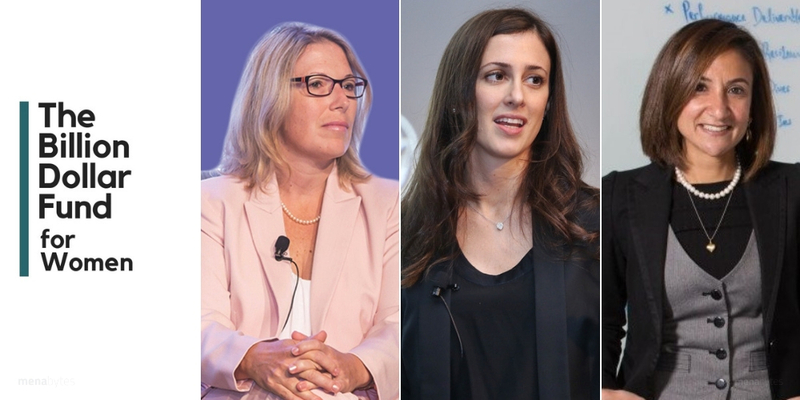 Founded by Shelly Porges, Sarah Chen, Anousheh Ansari, Nadereh Chamlou and Anu Jain, TBDF was launched last month, and has been able to secure more than $500 million in pledges until now. The consortium wants to empower female entrepreneurs worldwide. TBDF is trying to strengthen its global footprint and expanding their investor base by tapping into the new markets including MENA and and mobilizing the local investor scene to gender-diversify their portfolios. “We are investing in women-led tech companies in the MENA region because they deliver high financial returns and are often undervalued. Arab women entrepreneurs represent an integral part of founders in the region and tend to build businesses around problems that they face in their lives. As a women-led fund manager based in the region, we understand and value these oppportunities.” said Heather Henyon, Founding General Partner of Mindshift Capital. “Females represent 50% of the world’s population yet their participation in the workforce is nowhere even close to that percentage. Through greater efforts to invest in females we help unlock an enormous economic benefit currently totally under utilised. We owe it to ourselves to change this,” added Dina el-Shenoufy, CIO of Flat6Labs. The statement highlights that only 14% of the entrepreneurs in the Middle East and North Africa (according to a study by ArabNet) are women compared to a global average of 17%. “This lower rate of female founders in the region could be attributed to the lower percentage of women in the finance and investment space, but also to a subconscious bias that women-led companies might not be able to keep up with male-run startups and teams,” said Nadereh Chamlou, Co-Founder at TBDF and former Senior Advisor of the World Bank at the MENAOECD Women’s Economic Empowerment Forum. Interestingly, however, some statistics show that female founders perform better than their male peers. First Round, one of the leading US-based VCs after ten years of investing in startups had found out that their portfolio companies with a female founder performed 63% better than the investments they had made with all-male founding teams. The Billion Dollar Fund now has The Arcview Venture Fund, Gobi Partners, Golden Gate Ventures, Fusion Fund and at least 20 more venture capital funds as their partners. Update: A previous version of the article indicated that the TBDF was able to secure $500 million in pledges within three weeks. They had $460 million worth of pledges on the day of launch as the founders had been working for months to secure them. We’ve now fixed the error.